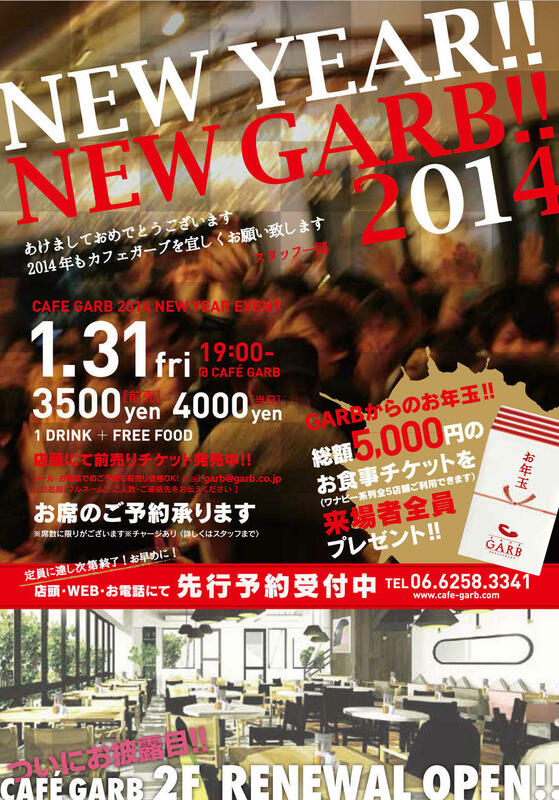 STAFF BLOG｜ Jan.18.2014 CAFE GARB 2014 NEW YEAR PARTY!! 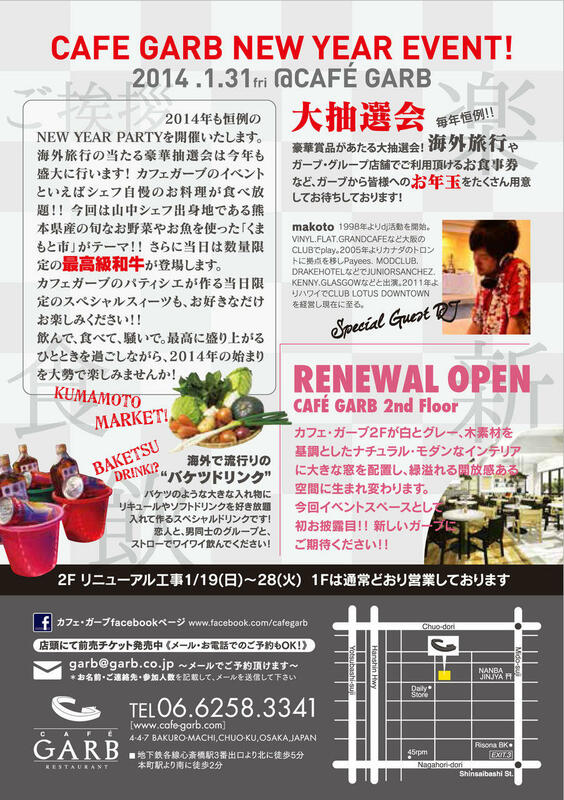 CAFE GARB NEW YEAR PARTY!! !